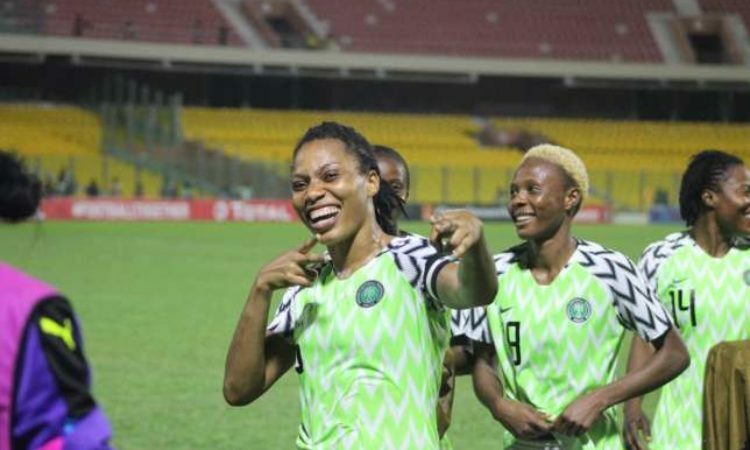 Etim Esin has highlighted the Falcons successful triumph in the African Women Cup of Nations showpiece in Ghana as the best achievement of Nigeria’s football sector in the 2018 football year. The Super Falcons despite losing their opening game of the continental showpiece went on to win the trophy after defeating the Bayana Bayana team of South Africa 4-3 on Penalty in the finals of the tournament. In an interview with the media on Saturday, Esin stated that though the Nigerian female team were not given the same recognition allotted to the men, the ladies performed well despite little training. “My major highpoint for the 2018 calendar in football remains Super Falcons’ victory at AWCON against all odds. The girls should be encouraged as much as the Super Eagles are. “Support for these girls should also be to the highest level. The same number of sponsors that they have for the Super Eagles should also be the same for the Super Falcons. Even the women’s league should also be structured in a way that would encourage them to have more players competing for positions in the women’s national team,” he said. The former Eagles’ midfield maestro said even though the Super Eagles did their best at Russia 2018, the final outcome of their performance at the tournament was not good enough. “Eagles gave a good performance at the World Cup, but their overall performance in Russia this year was not good enough, he said. Esin went on to express delight at the emergence of Tijani Babangida as the president of the Nigerian Association of Professional Footballers, as it beems hope for the current crop of footballers. “The emergence of Babaginda as the president of NANPF to me was another highpoint of 2018. His experience and international exposure will be brought to bear. The welfare of the players after retirement, their benefits, and other things I believe, will be handled well by Babaginda. This is not even for my generation, but for those that are currently in active football,” he stated.